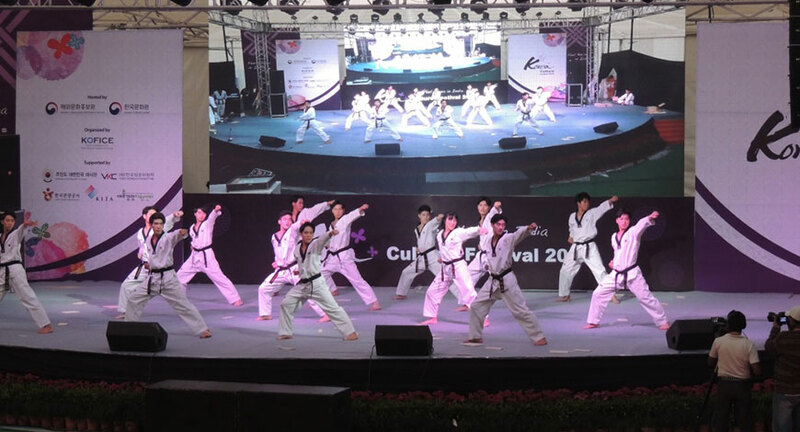 Korean Culture Festival 2016 was held across two days on 18th and 19th November at Pragati Maidan, Hansdhwani theatre. More than 15,000 people attended the festival. The presence of Tara Gandhi as chief guest (Grand Daughter of Late Mahatma Gandhi and Former Vice Chairperson of Gandhi Smriti), Guest of Honor H.E. Cho Hyun - The Ambassador of Republic of Korea to India, Kim Kum Pyoung – Director of Korean Culture Centre India and Choi Jan Won – Director of Korea Culture and Information service graced the occasion. The festival was jointly hosted by Ministry of Culture, Sports and Tourism, Korean Cultural Centre India. H.E. Cho Hyun- The Ambassador of Republic of Korea to India was glad that Korea was invited as partner country in Trade Fair 2016. Korea has very sound technology which needs Indian Market and Korea equally needs highly brainy Indian professionals in Korean companies. He also said that in realm of culture both countries share commonalities that bring them together. Kim Kum Pyoung– Director of Korean Culture Centre India thanked everyone for the great warmth and love expressed for Korea. Choi Jan –Won– Director of Korea Culture and Information service said that he is thankful to India for great passion and love for Korean culture, dance, Music, Food, Beauty and business. The two nations equally share culture through culture exchanges activities that extends the friendship bond further. The festival was thrilling and the audiences were seen enjoying to the fullest. 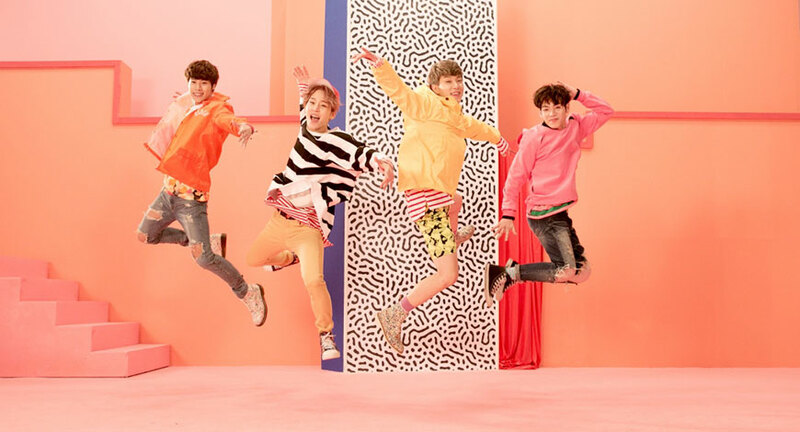 The grand performance by A.cian group (four-member (Jung Sang, Sang Hyun, Hyuk Jin and Jin.O) - K- Pop band made everyone tap their feet. The performance on their famous album ‘Stuck’ was just electrifying. The show by B.I.G band (Members: J-Hoon (Leader), Benji, GookMinpyo, Gunmin, Heedo) was also rocking. 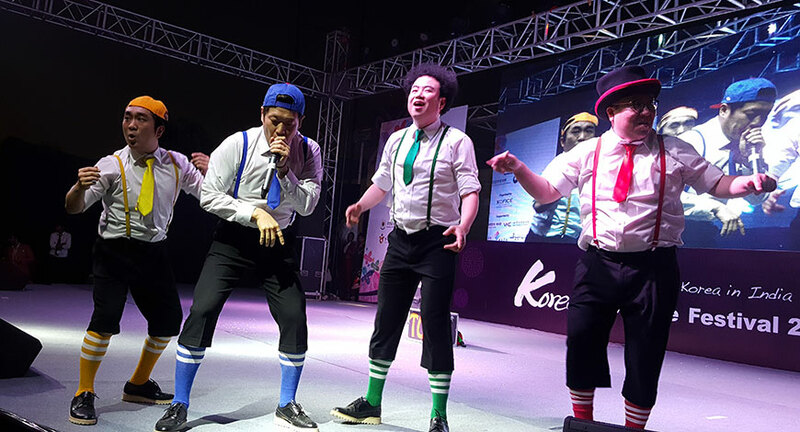 The hilarious performance by Ongals group ( Korean comedy performance group consisting of Cho Su Won, Chae Kyung Sun, Cho Jun Woo, Choi Ki Seob, Ha Bak and Lee Kyung Sub) made everyone laugh. The language of silence was not only understood but also felt. People also enjoyed performances by B-Boying and Samulnori. The energetic and powerful taekwondo performance by renowned Kukkiwon group was thrilling. Visitors also enjoyed K-Beauty, K-Food, K- Fashion, K-play, K- Travel and K- Business sections. Renowned Korean Chef Shin Hyo Sub not only demonstrated the technique of Cooking Korean Food but also gave the opportunity to enjoy this healthiest food.